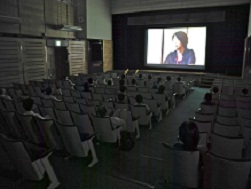 2012 – 2014 | 「普通の生活」"Ordinary Lives"
audience came to see the ﬁlm. Please look at the comments page too. will be there for a short talk. in Tokyo, where I studied. Find more comments on Viewers’ voices. The showing of the ﬁlm took place on October 17th at 227 Theatre, 234 Queensberry St, Parkville in University of Melbourne in Australia, thanks to the coordination of my friend, Miyuki and Japan Club members. It has been more than a year since we started showing the ﬁlm. 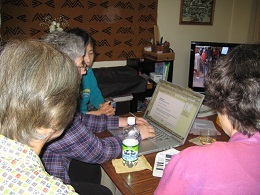 The ﬁlm was seen atmore than 30 places all over Japan as well as in the USA,Kenya and Indonesia. The voices of ordinary citizens within 6 months after the disaster in Fukushima will ramain and we need to keep listening to their voices. We will start one coin showing this year. 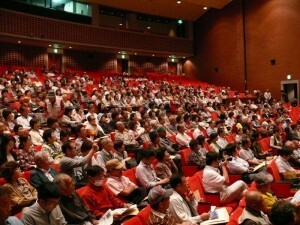 We also hold down the price to 30,000 yen for more than 50 audience. If you are thinking of 100+ audience, please contact us. We really want to spread this ﬁlm! 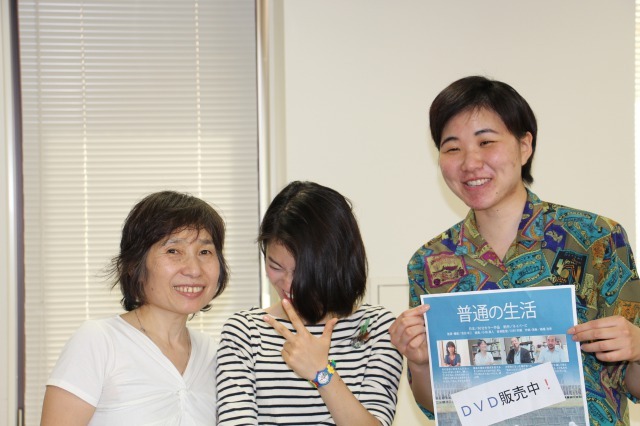 On March 29 ‘Ordinary Lives’ was shown at Haverford College in Pensylvania, U.S.A.
One of the volunteers who helped us translate for subtitles introduced Ms. Kobayashi who works there. 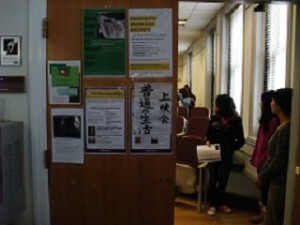 The ﬁlm was shown not only to the students who studies Japanese but to all, thanks to Professor Glassman, who teaches East Asian Studies. 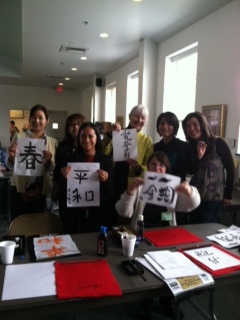 Here’s the message from Ms. Kobayashi who organized this showing. homecountry. After the nuclear power plant accident, I knew that people in Fukushima had a difﬁcult time to live a normal life. 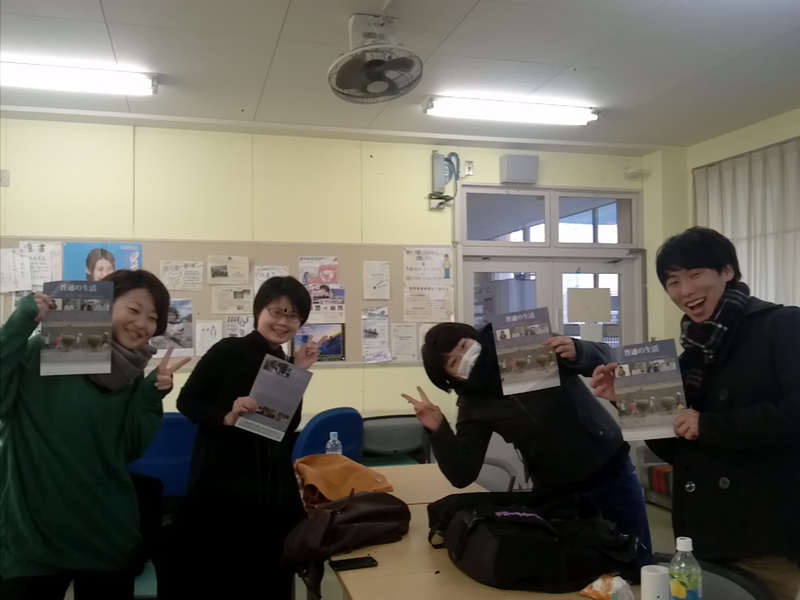 And I have always been looking for something I could do for people in Fukushima through teaching Japanese here in America. As a mother, an adult, I have to think about our children’s future environment. I would like you all to learn from the Fukushima incident. It can happen anywhere in the world…..I think. 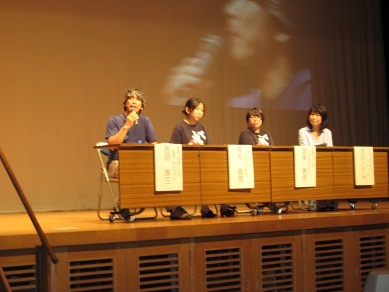 On March 10, we were invited to the 8th Hakodate Universal Film Festival. Oridary lives were shown three times that day. 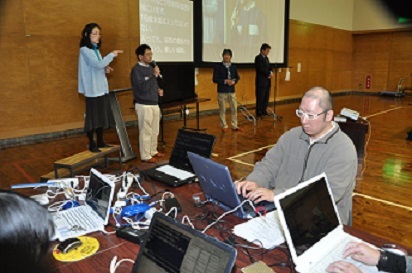 This festival is very special and unique; Japanese subtitles, hearing aid system, audio guide, sign language, condensed transcription, wheelchair site and baby-care system are available. Everyone can enjoy the movie. I was surprised to see all the efforts made until the last moment. It was a very stormy day but many people came to see the movie. We felt so happy with the warm hearted people in Hakodate. Thank you very much! We went to Bali, Indonesia for reserch on possibility of the project with JICA. 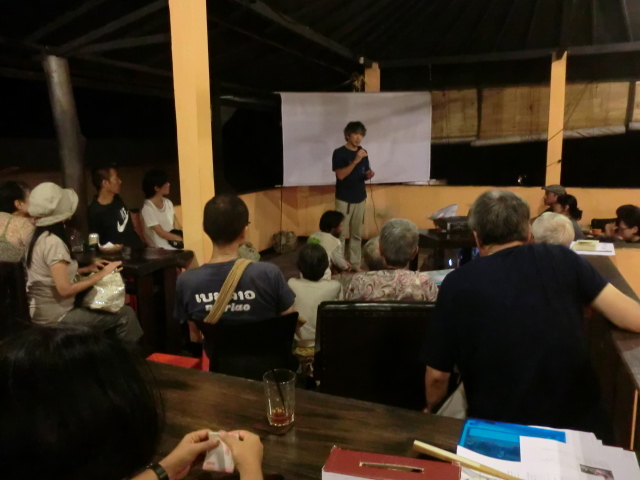 While we were in Bali, there was a showing set by Mr. Mitsumori of Villa Bintang in Ubud. The show took place on February 16, Saturday in Cafe Ancasa in Ubud. 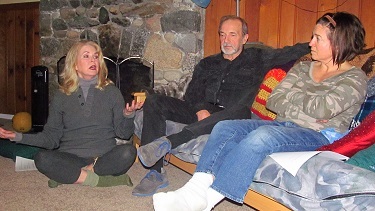 About 50 people joined and there were some families with small children escaped from radiation. The ﬁlm has been shown more than 30 times so far. 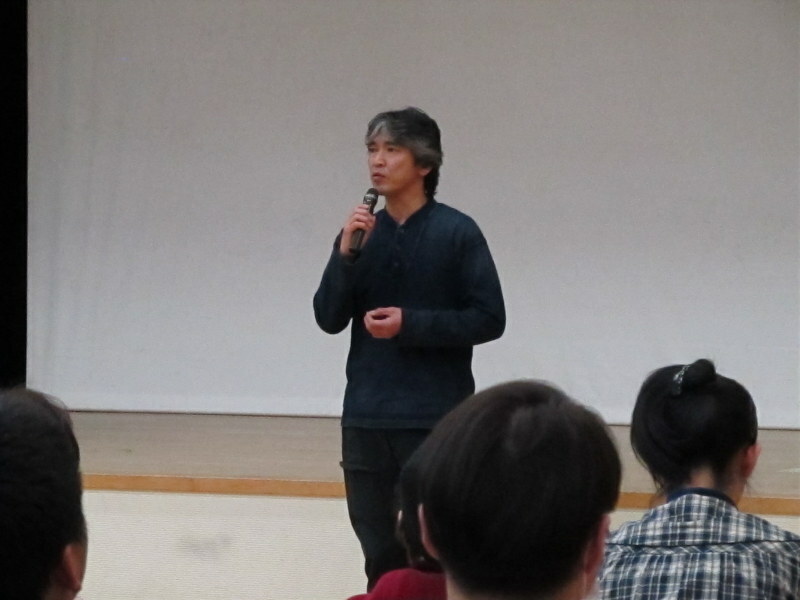 3 after the showing Taizo Yoshida, director/camera, will talk with Mr. Seiichi Nakate who is in the ﬁlm. The year 2013 started with much more snow than usual. We hope that it will turn out to be a good year for you all, and especially for sufferers of 3.11 earthquake disaster the situation will shift for better direction. 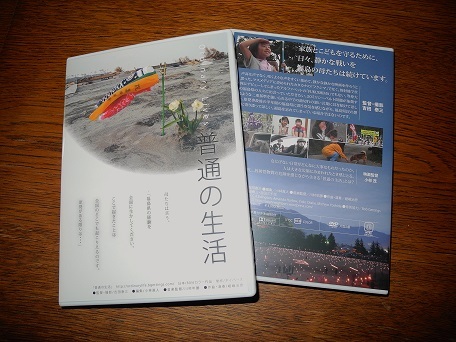 There have been showings of ‘Ordinary Lives’ all over Japan since last fall. At the showing in Yasu City, Shiga Prefecture, Mr. Endo who is in the ﬁlm, established a committee to organize the event. 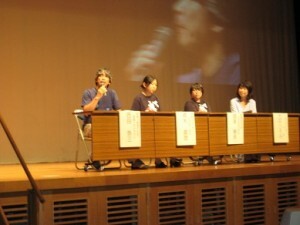 Ms. Saito, also in the ﬁlm, talked her experience on the stage that day. 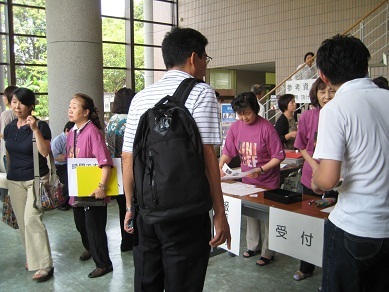 More than 700 people joined the program. Finally we were able to show ‘Ordinary Lives’ with English subtitles on November 4th evening. It was cold and windy outside but many non-Japanese and Japanese came to see the ﬁlm, including translators who hed worked hard to put into English. The editors for English version, Ms. CA Edington and Ms. Amanda Harlow gave a welcome message in the beginning of the showings. 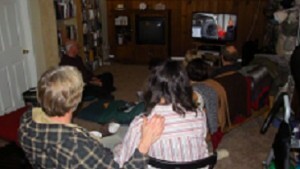 About 75 people watched the show eagerly and gave us warm clapping. audience in the ﬁrst show. now trying to correct them. come and watch the movie. Please make a reservation. were rather nervous how the local people received that. But people clapped handswarmly at the end of the showing. We got relieved. Our mission to tell the voices of the ordinary people will go to the next stage after theapproval of Fukushima people. We have decided the showings in Fukushima would be free. We know, though, there are people who are suffering and feel difﬁcult to see and remember the ﬁrst half year. 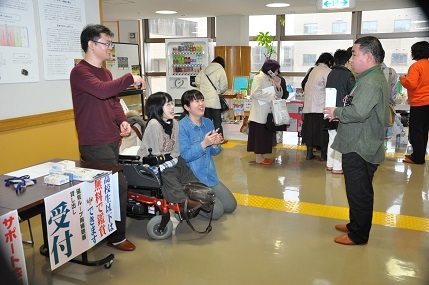 day program was sponsored by Women’s group in Miyazaki-city started with songs by Takarazuka lady. 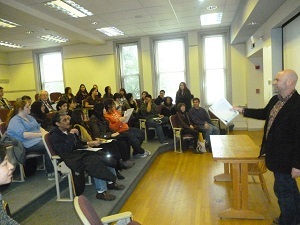 The group tried to sell tickets as many as possible and very many audience came to see the ﬁlm. Please look at the comments page too. 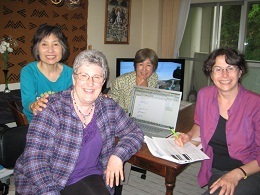 Just after the ﬁrst showing of the movie ‘Ordinary Lives’ in Sapporo, Ms. Amanda Harlow and Ms. CA Edington started planning to make English subtitles for the movie. They thought it should be internationally introduced. They found 14 translators and most of the translation was done by the end of May. On June 17th there was the ﬁrst editing meeting which also included Ms. Yoko Otake and myself (Michiyo Yoshida). We worked hard for about four hours and ﬁnished the ﬁrst half. It will take some more time to ﬁnish editing and we are hoping that the movie will go out to the world in the end of summer.